Whether you want to be a divemaster Bali or to dive just for fun, Bali’s underwater world has one of the most fantastic places to dive in. These places are enriched with aquatic life, coral reefs and shells and great panoramic views of the ocean and the skies. Here is a list of the ten best places for diving as voted by our divers in Scubali – Diving Bali Academy. 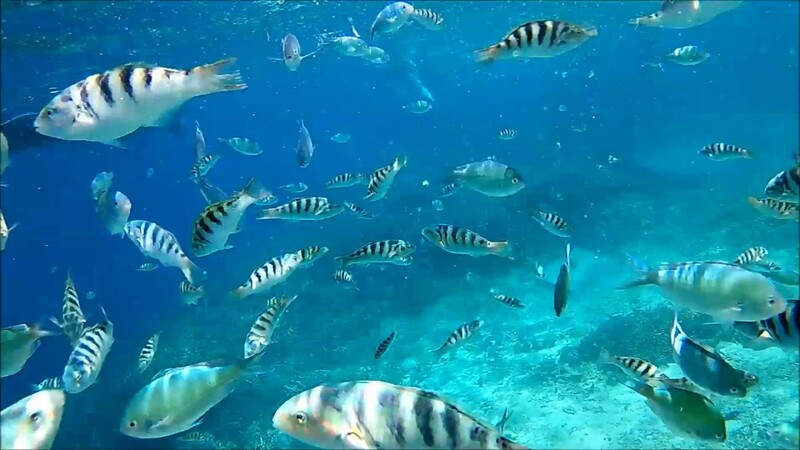 Situate next to Amed Wall, Jemeluk Bay is enriched with a vast aquatic life. At this diving spot, you will be able to view sharks, crabs, shrimps, turtles as well as rare types of fish such as frogfish and ghost pipefish. Jemeluk Bay also has a beautiful coral garden and a well architecturally designed artificial reef structure. Have you ever imagined diving in an aquarium? This is exactly the kind of experience you will get at Mangrove Point. Mangrove Point has just one reef which is gentle in slope. As you dive along this reef, you will be able to see a variety of colored fish such as fusiliers, damselfish and star puffers. What’s more- the reef is made up of beautifully decorated Acropora corals, bommies and soft sponges. You can also book accommodation in one of the many holiday resort around this location. Jepun is made up of artificial reefs that are well decorated with both hard and soft corals. At this site, you are able to view a large variety of turtles, stingrays, crocodile fish and lobsters. Amed wall is situated on the right side of Amed Bali. You can reach Amed Wall with either a boat or through swimming. Once you reach, you will be surprised with an astonishing view of turtles, colored fish and reef sharks. As a beginner, this is the best place for you to start with before you can achieve to be a divemaster from Bali. Blue Lagoon is sandy with many shallow reefs in which you can dive in easily. It is also a nice place to take photographs due to the rich and breathtaking view of large-sized coral bommies, eels, and colored fish. In between steep slopes and walls which are encased with beautiful corals, you will able to view seahorses, barracuda, reef sharks, cuttlefish, and nudibranchs. If you have reached the level of a divemaster, then you must visit this place. Blue Corner has an interesting topography with large gullies and rocks which you can use to protect yourself from strong currents. Moreover, you can hide in these rocks and gullies as you quietly observe the aquatic life in this place – large turtles, eagle rays, marble rays, tuna and the infamous mola. Whether a beginner or a divemaster Bali, this wreck is one of the places in Bali Island which you cannot afford to miss. With its calm ocean currents; be rest assured to have a breathtaking view of the rich aquatic life in the wreck such as scorpion fish, blue spot stingrays and garden eels. Just as the name suggests, this is a gently sloping reef which has a flat top. This reef is intertwined with both soft and hard corals. From Napoleon Reef, you will be able to see large animals such as whale sharks, hump head parrotfish and eagle rays. This is a wall situate at the left side of Menjagan Island which has beautiful fan corals. From this wall, you can easily get mackerels, squat lobsters, orangutan crabs, batfish and nudibranchs. There you go! These are the ten best places to dive at Bali Island. Other than these, Bali island has a large collection of diving spots which are well endowed with aquatic life, artificial reefs, and beautiful corals. So book for a diving trip in our popular locations and experience the aesthetic value of nature. The 36 questions that will make you fall in love with anyone!